It is always exciting to help women find the perfect solutions to their hair loss. 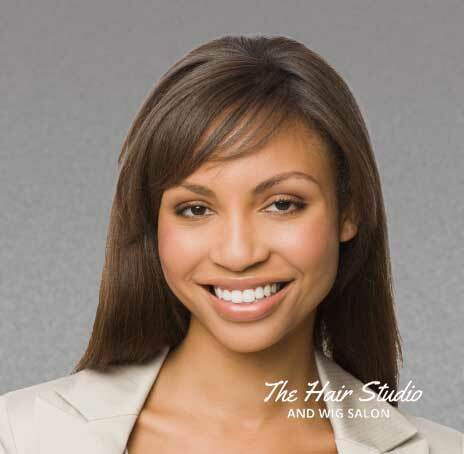 We have exceptional wig specialists at The Hair Studio that really understand women with different levels of hair loss. That is something we strive to offer women in the Chelsea area, high quality wigs and the ability to fully answer questions and help you make decisions that can change your lives. Our beautiful human hair wigs are made with only the absolute best, high quality materials. By doing this you not only get a wig that looks extremely natural and beautiful, but it also fits so well and is easy to maintain. There is no question that the right wig can make a world of difference to any woman with thinning hair or hair loss. It not only gives you back a full head of hair that flows naturally like real hair, but it also can restore your confidence that can be loss for many that suffer from hair loss. Making sure you get the right wig starts with a private wig consultation with one of our wig specialists. We will take the time needed to discuss with you your hair loss needs and assist you in making the right custom hair wig that fits well and will give you the look that you want. Because of the high quality materials we use, your will will be breathable and can be styled to meet and often exceed our clients expectations.